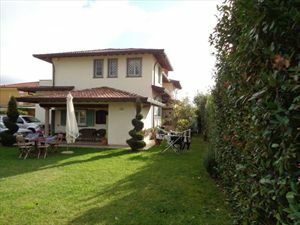 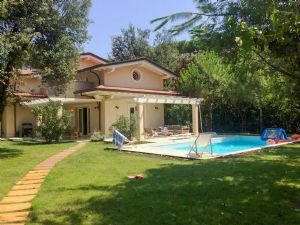 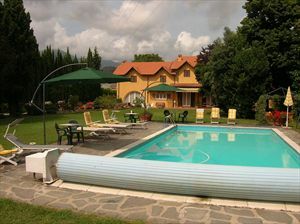 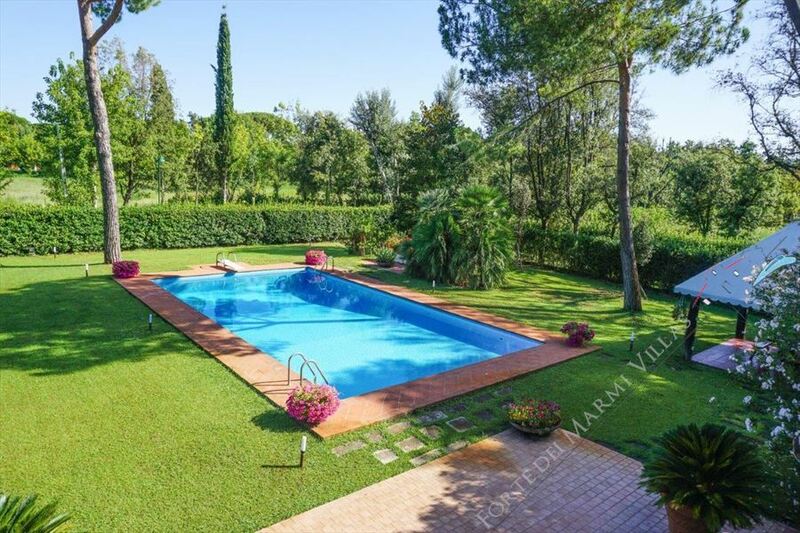 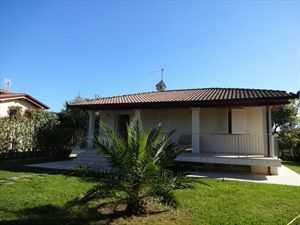 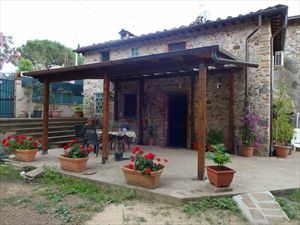 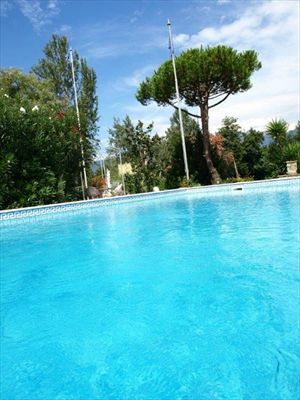 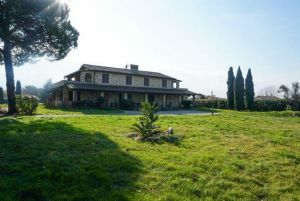 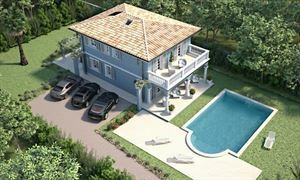 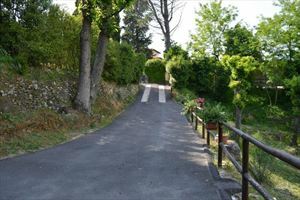 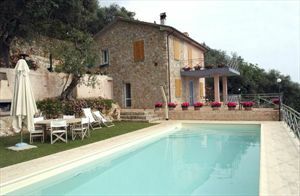 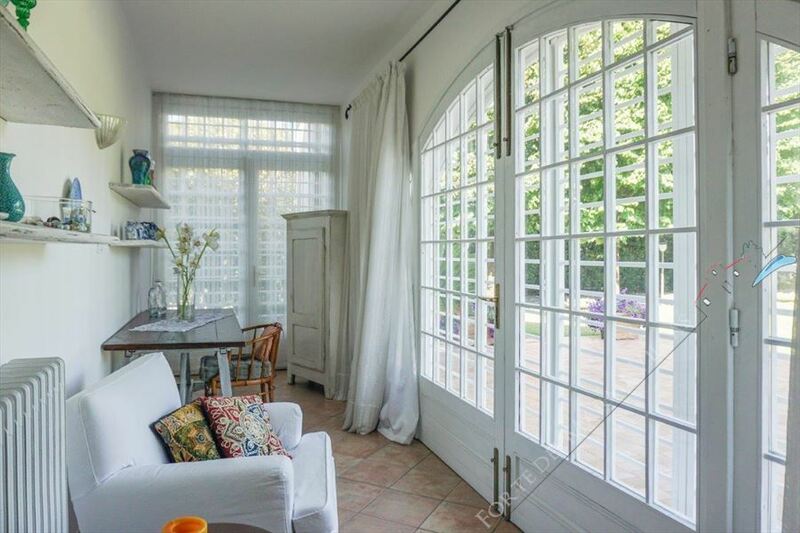 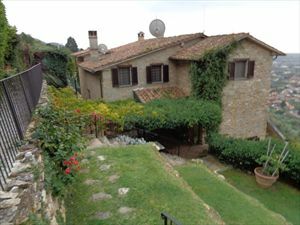 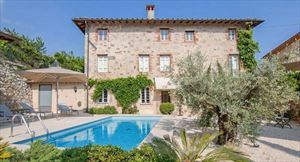 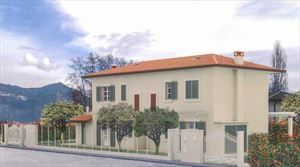 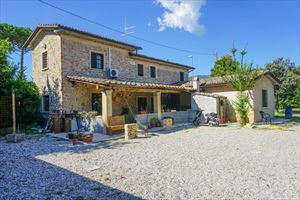 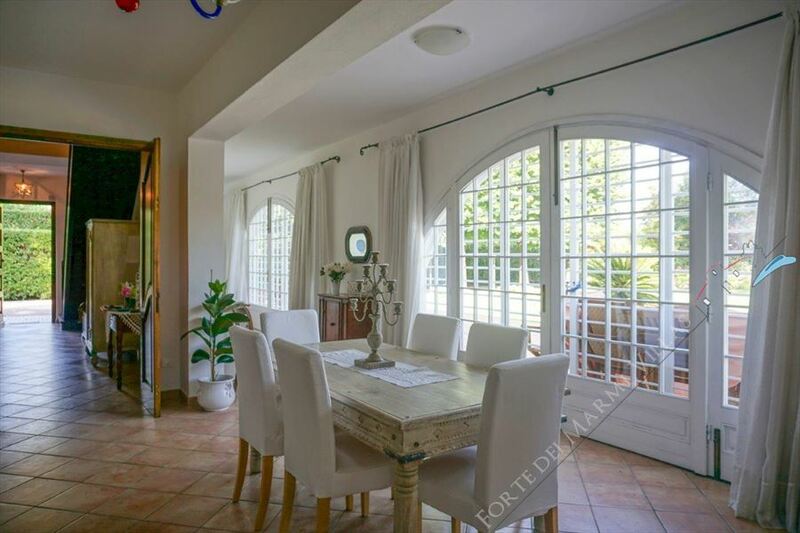 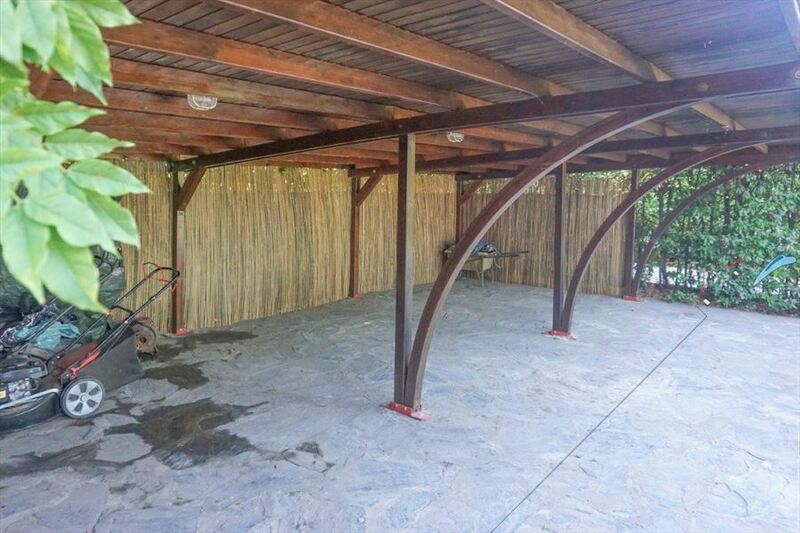 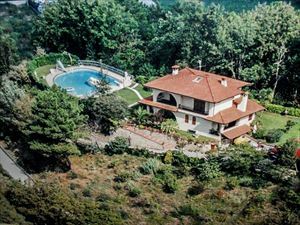 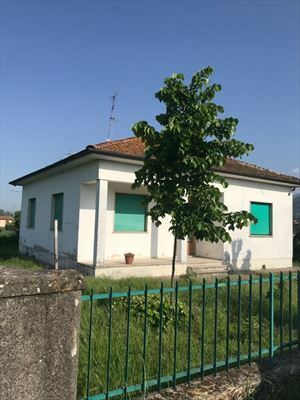 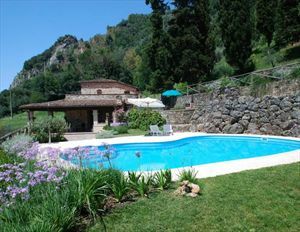 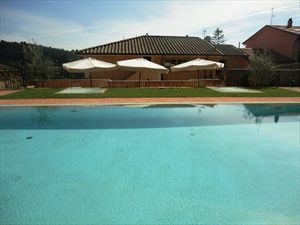 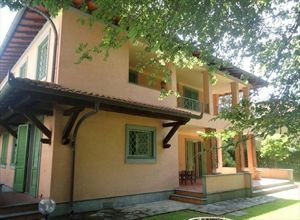 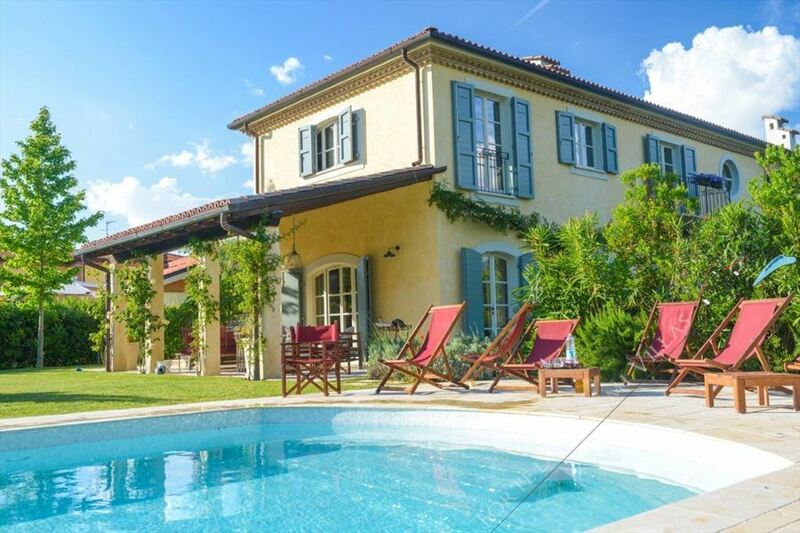 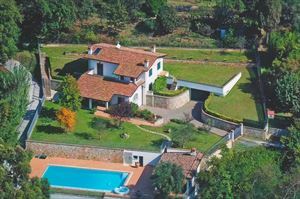 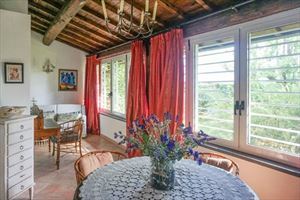 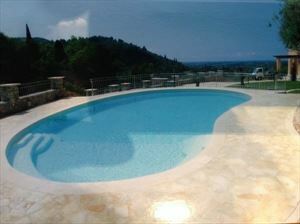 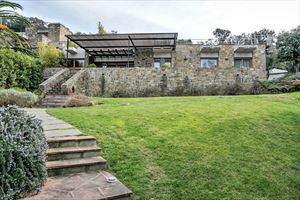 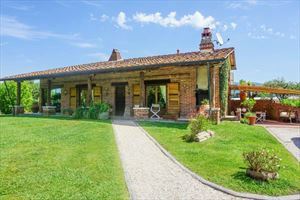 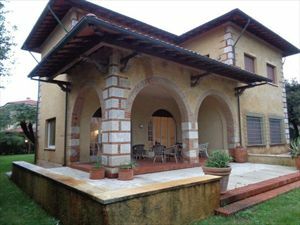 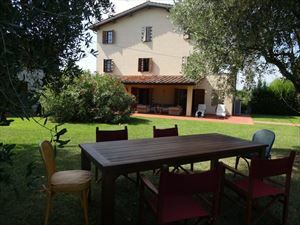 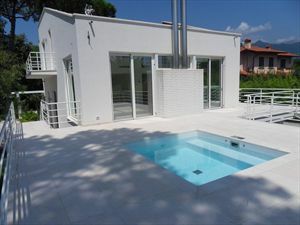 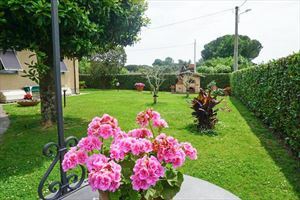 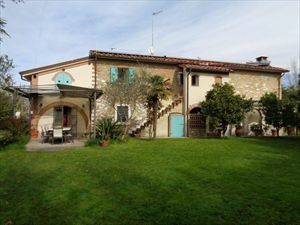 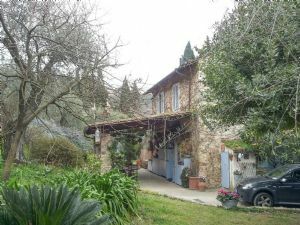 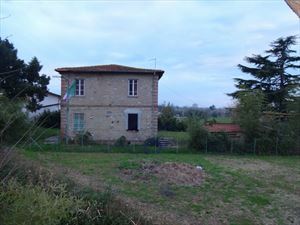 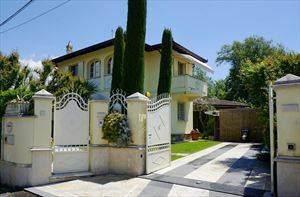 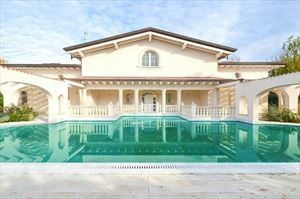 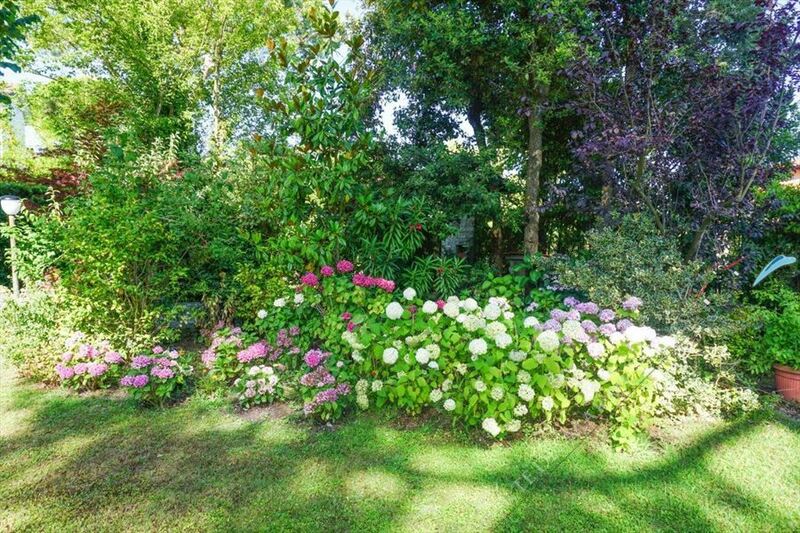 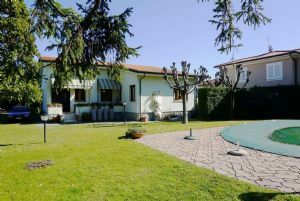 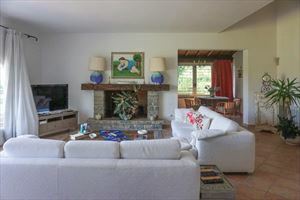 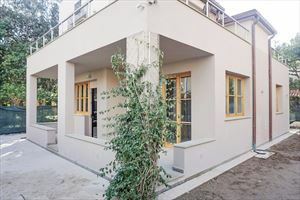 A detached villa with a large garden (3000 m²) and a swimming pool with heated water. 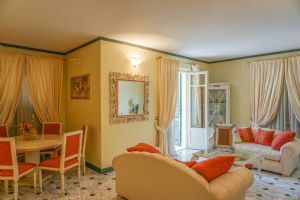 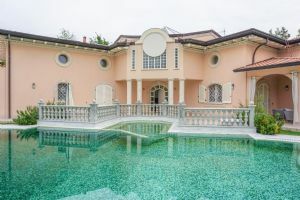 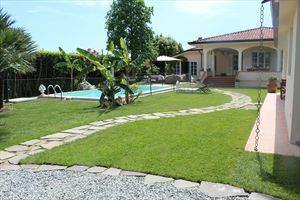 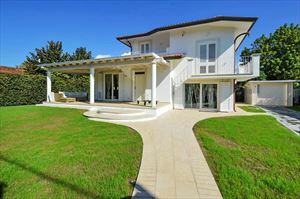 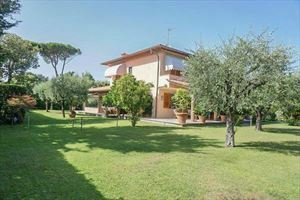 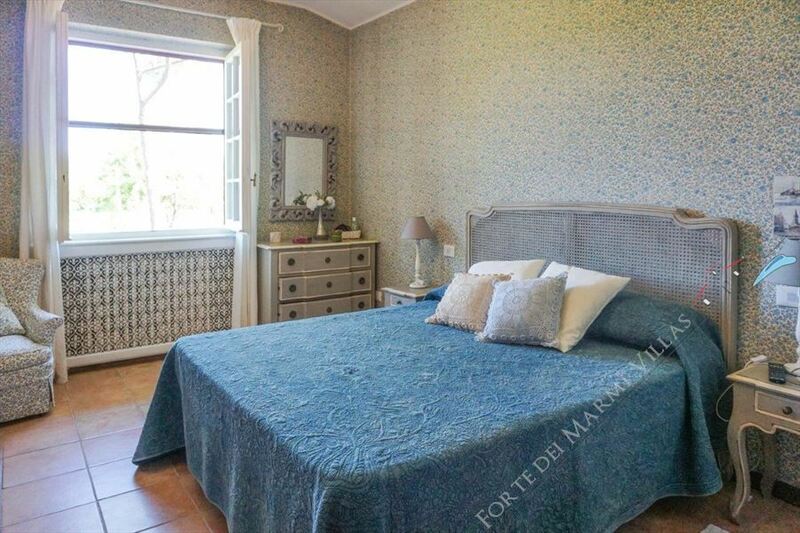 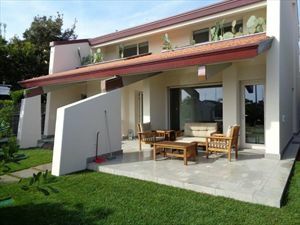 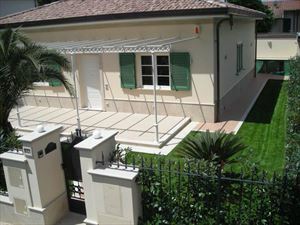 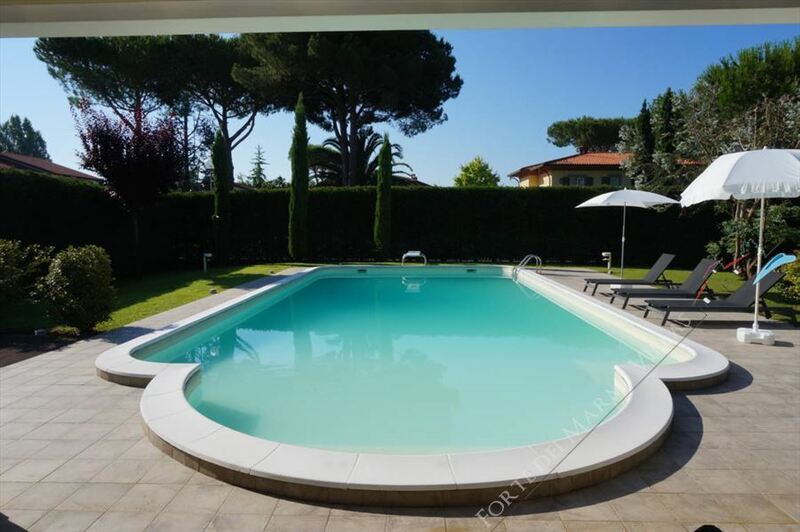 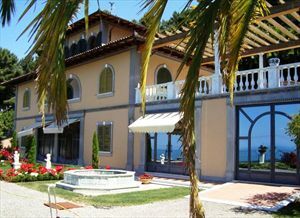 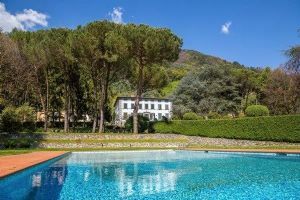 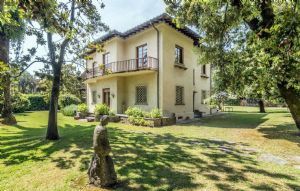 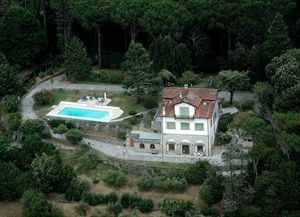 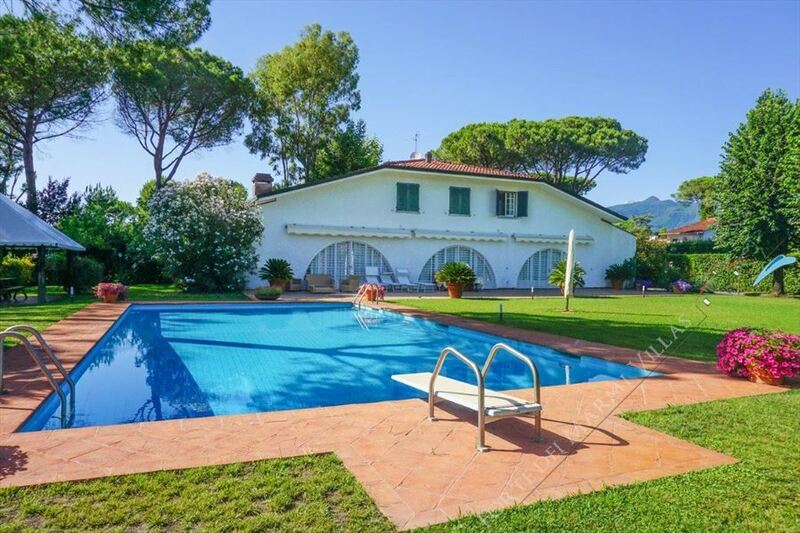 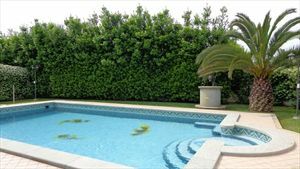 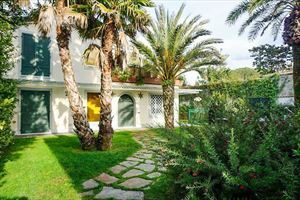 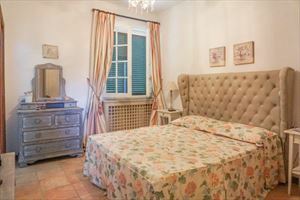 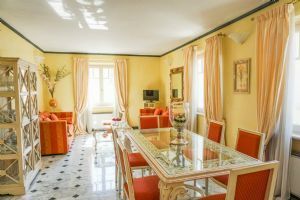 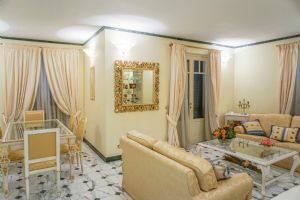 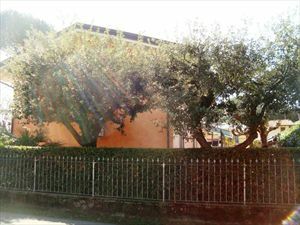 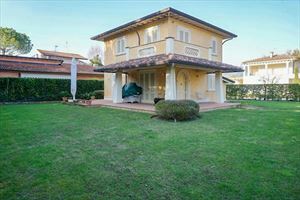 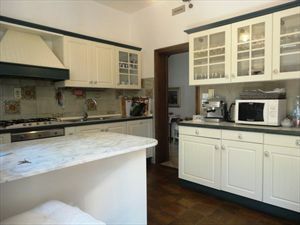 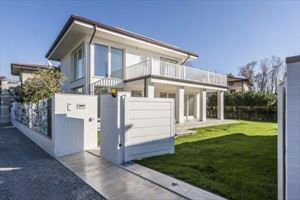 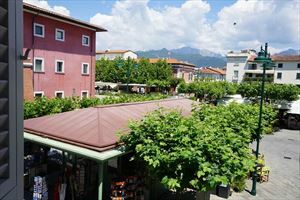 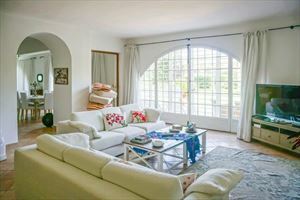 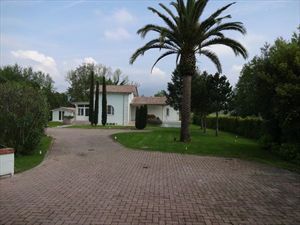 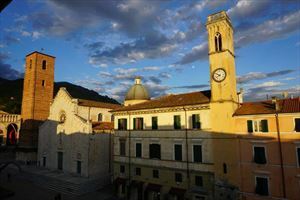 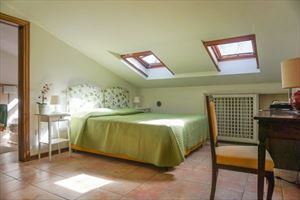 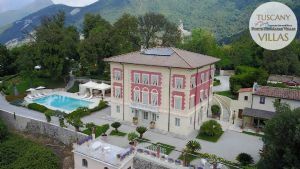 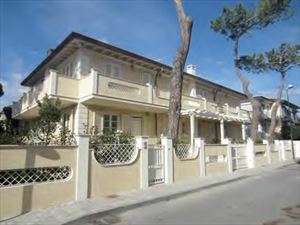 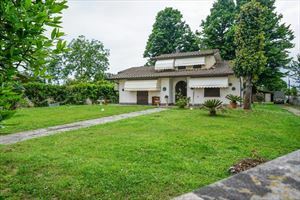 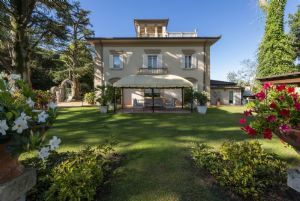 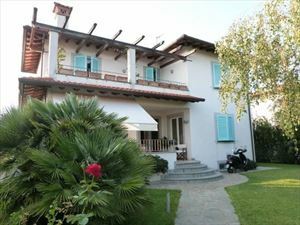 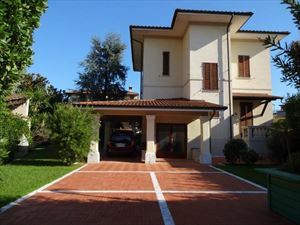 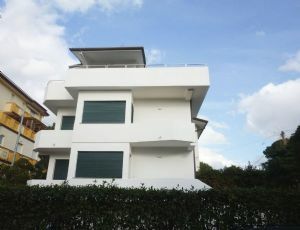 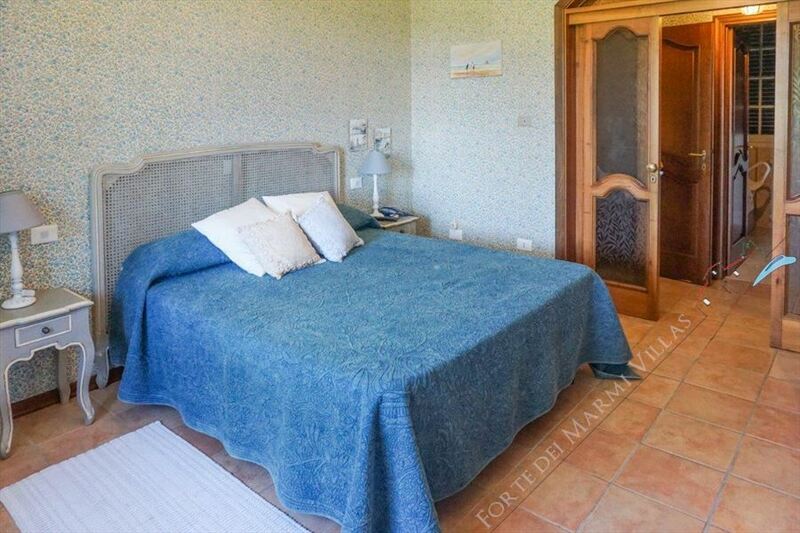 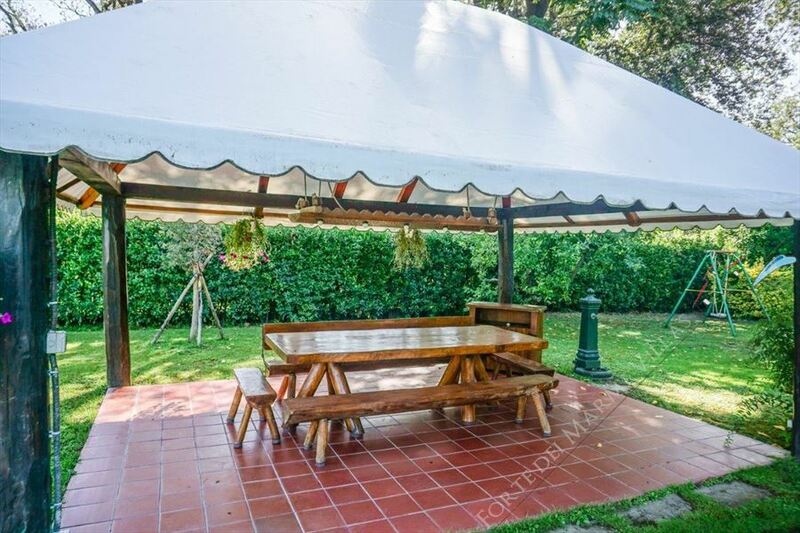 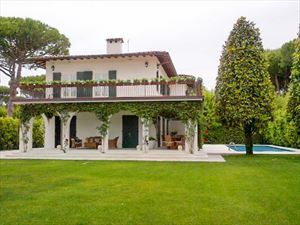 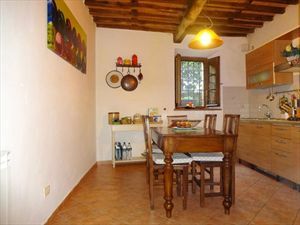 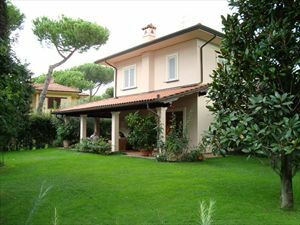 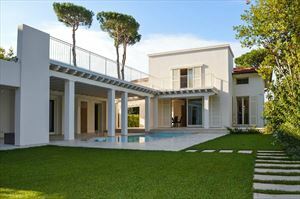 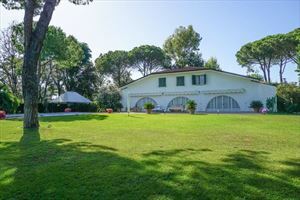 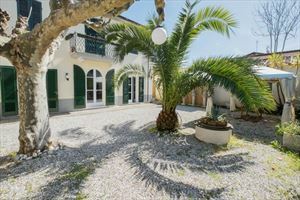 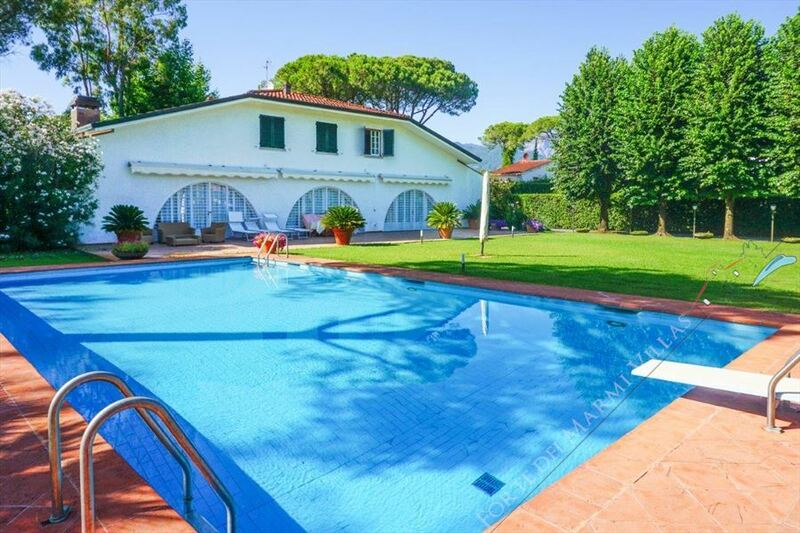 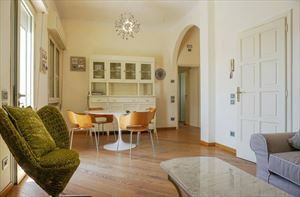 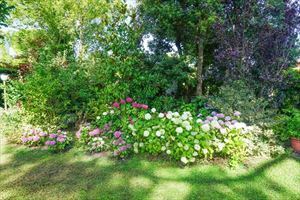 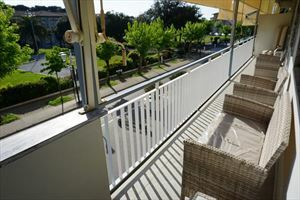 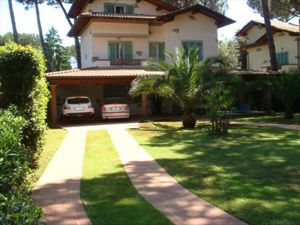 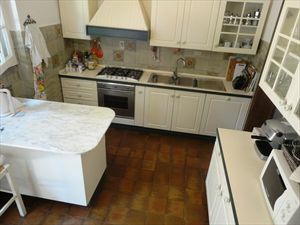 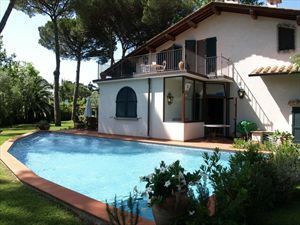 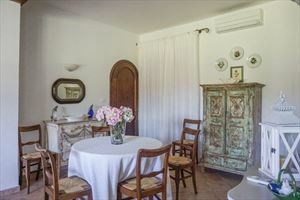 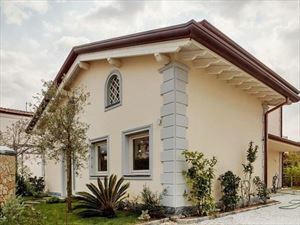 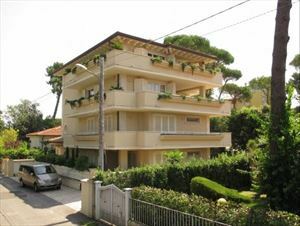 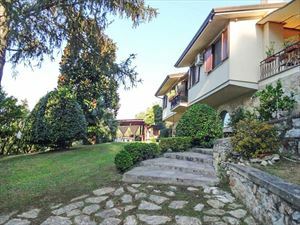 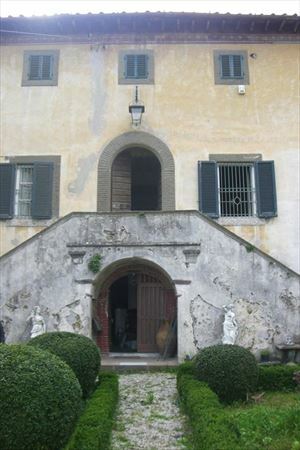 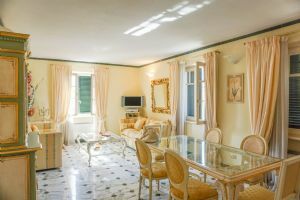 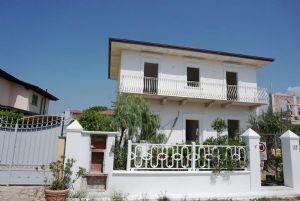 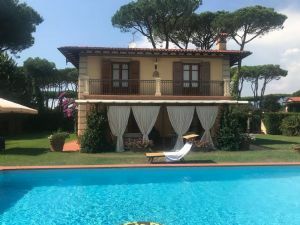 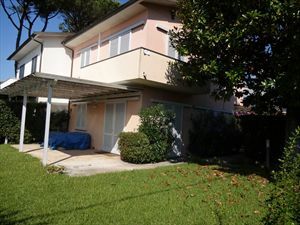 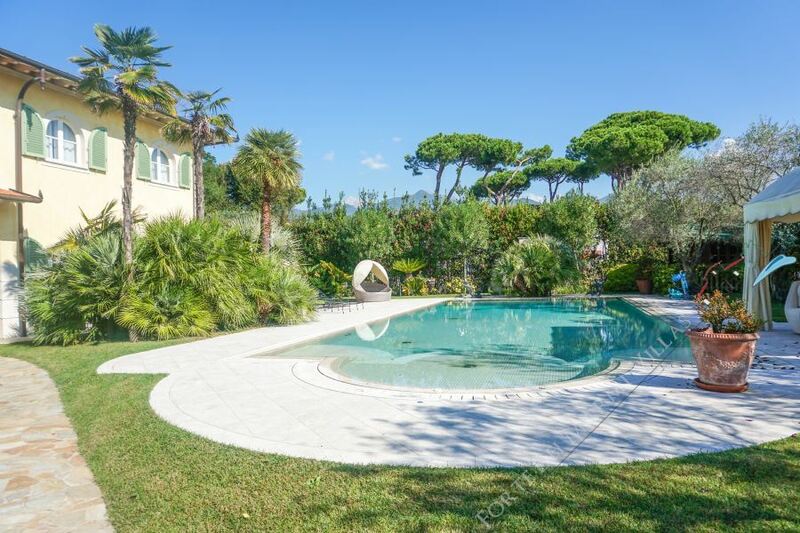 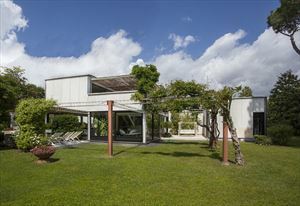 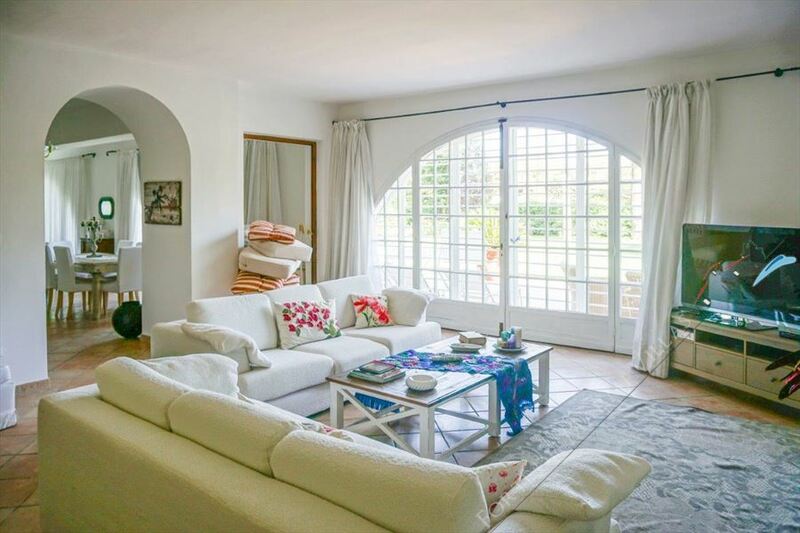 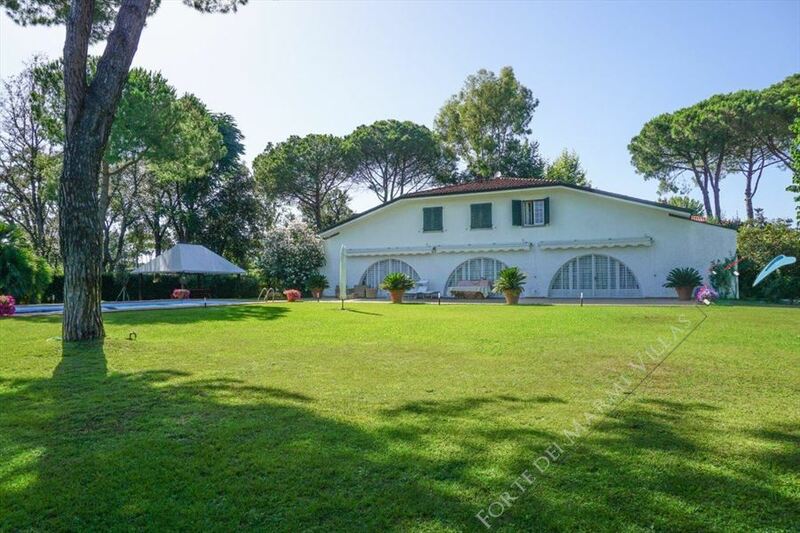 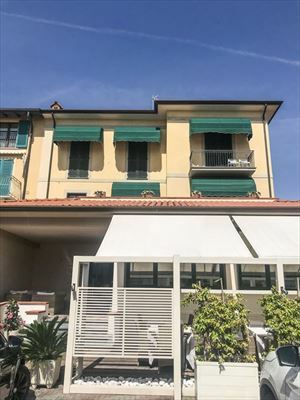 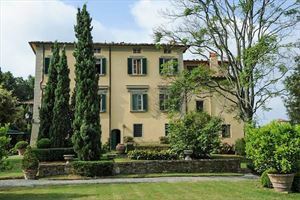 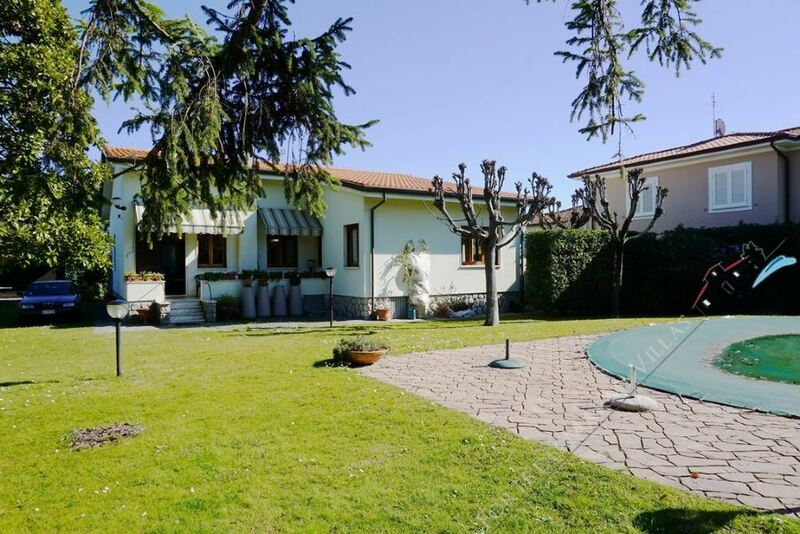 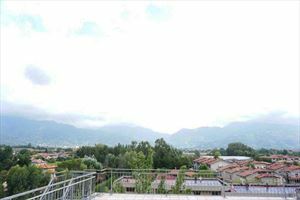 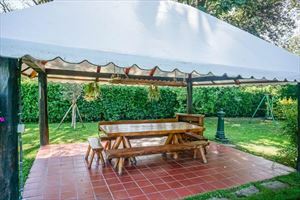 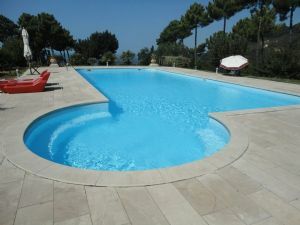 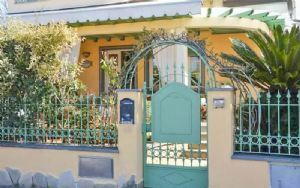 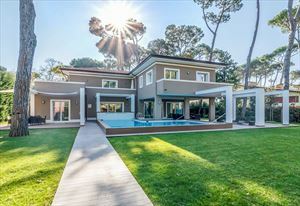 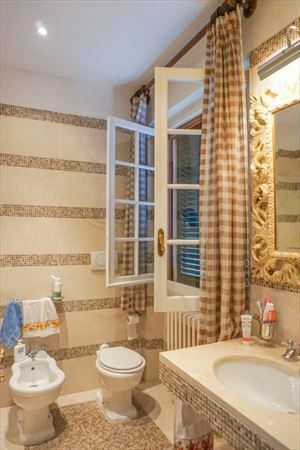 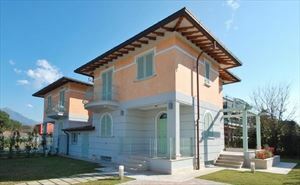 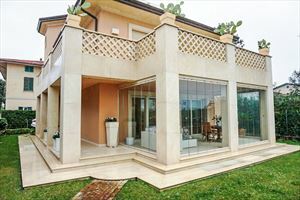 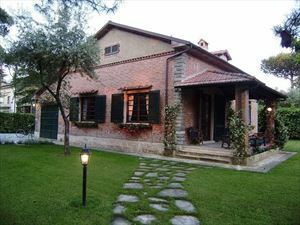 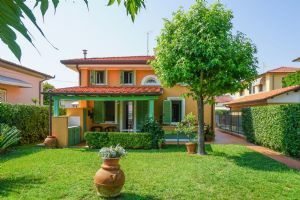 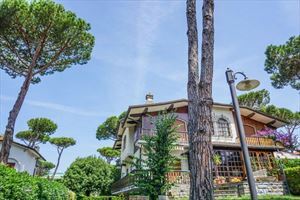 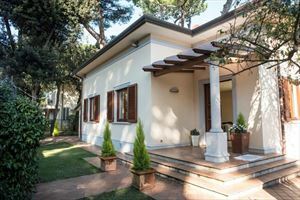 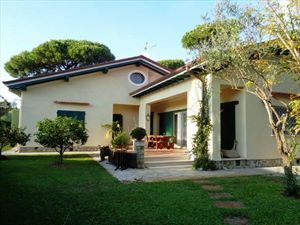 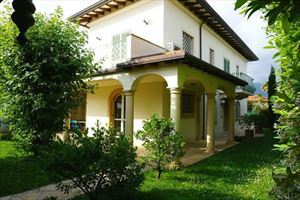 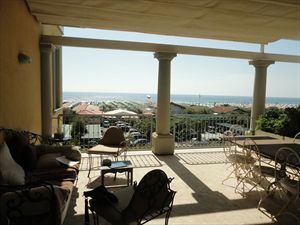 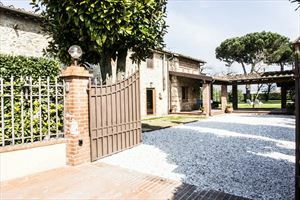 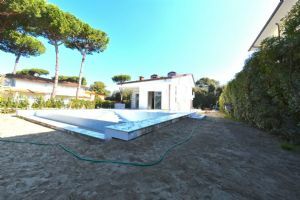 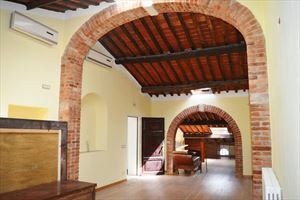 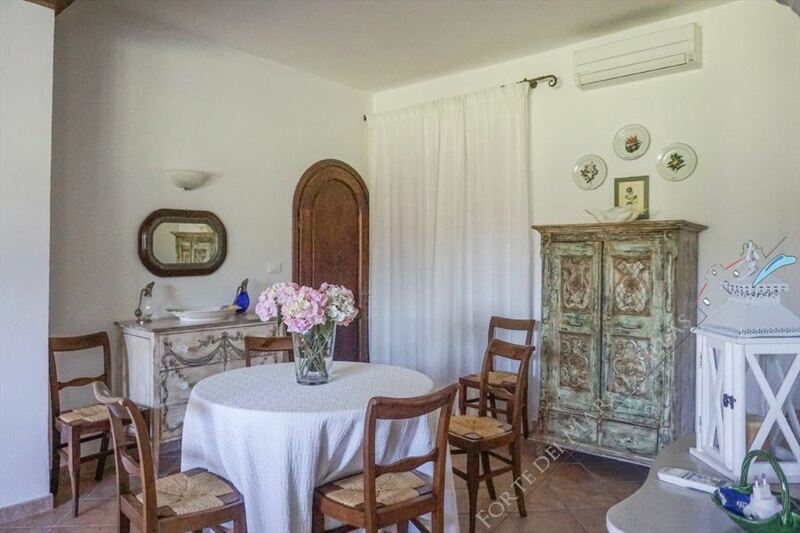 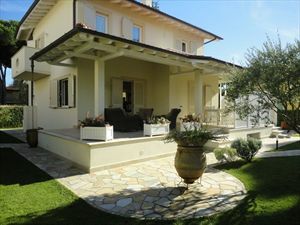 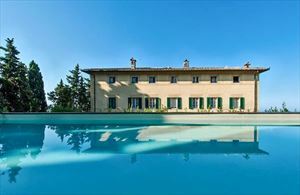 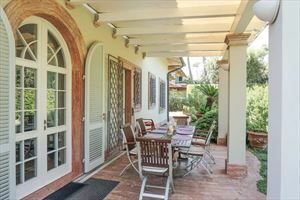 It is located in the most prestigious area of ​​Forte dei Marmi - Roma Imperiale. 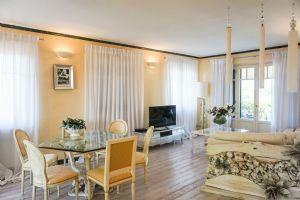 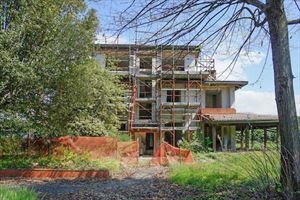 The ground floor consists of a large bright living room with dining area, a studio, bright and spacious sitting area, bathroom with shower, bedroom and a kitchen. 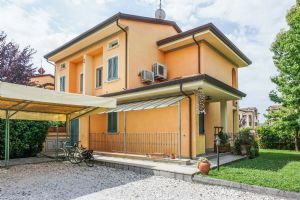 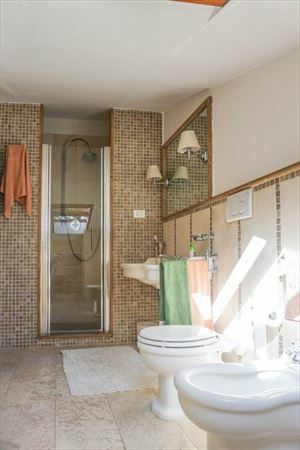 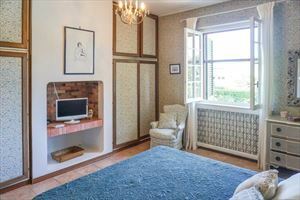 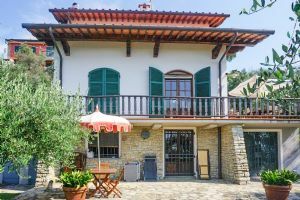 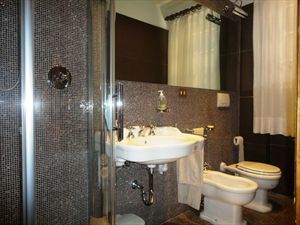 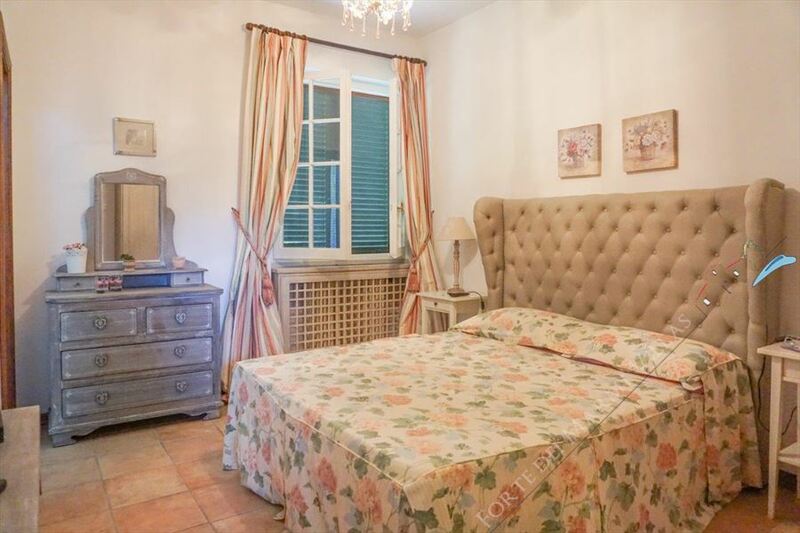 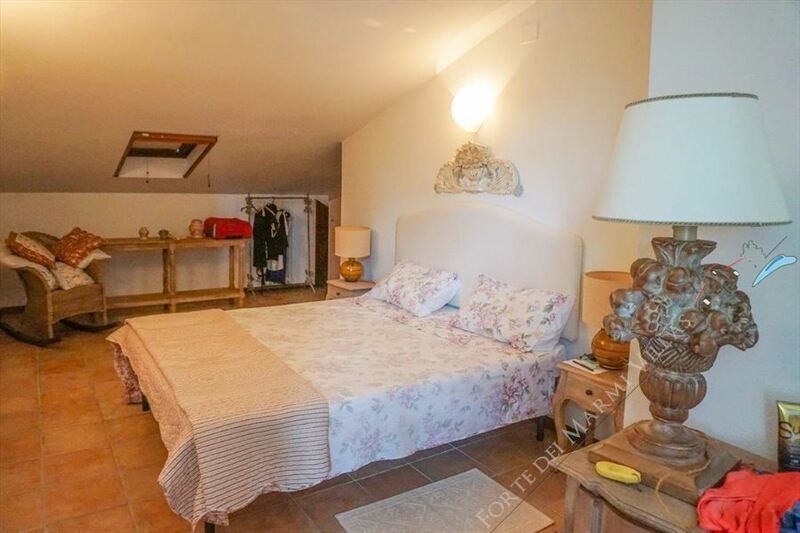 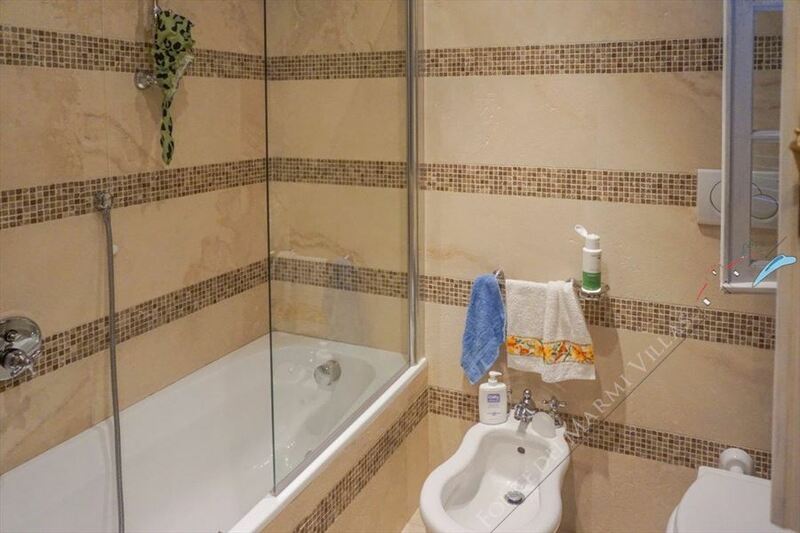 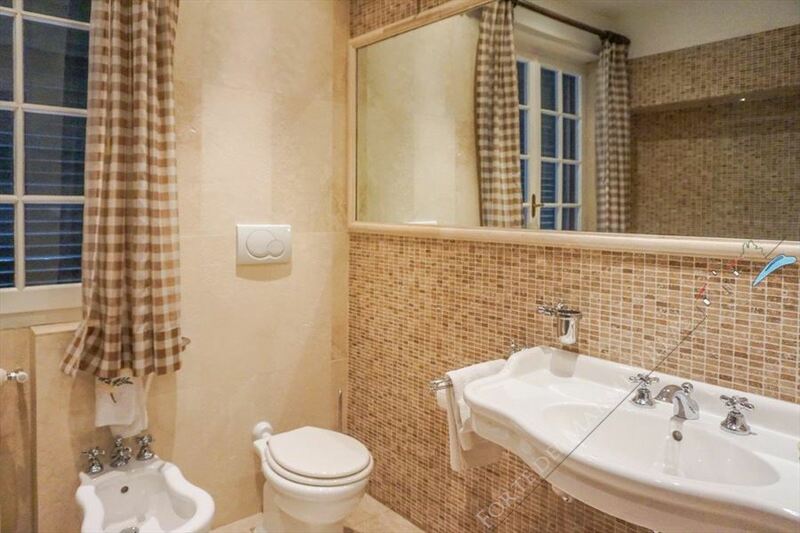 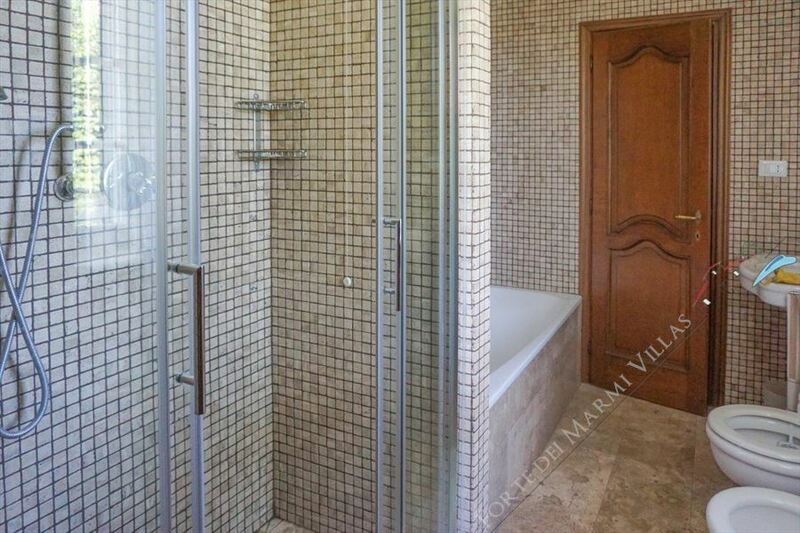 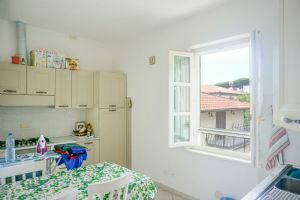 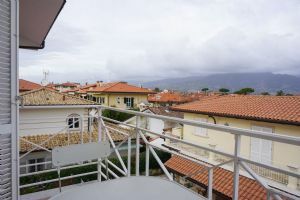 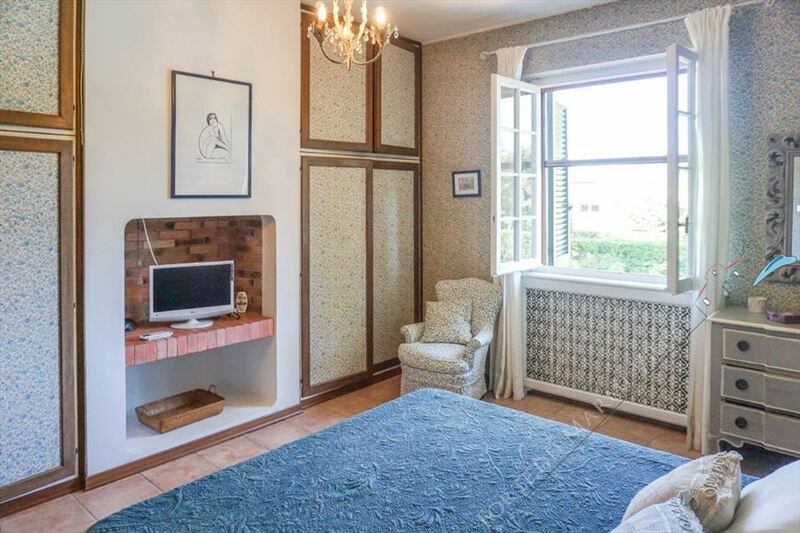 The upper floor is composed of a double bedroom with bathroom, bedroom with en-suite bathroom with a shower decorated with mosaic, two double bedrooms with a shared bathroom with bath and shower, and a single room with en-suite bathroom with bathtub. 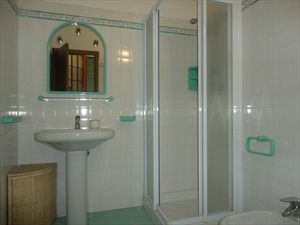 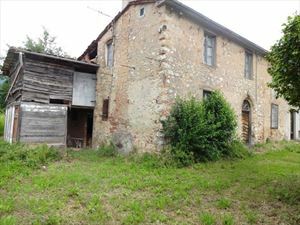 There is also a separate house for guests or staff. It includes a kitchen, a living room, a bedroom and a bathroom. 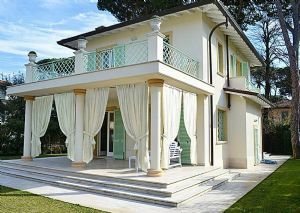 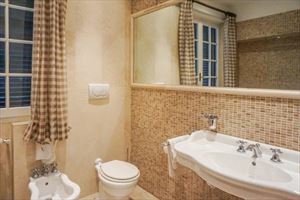 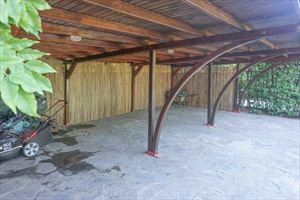 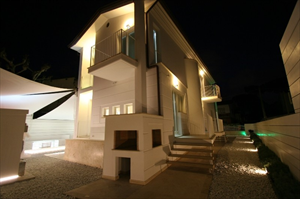 The villa is equipped with air conditioning, alarm system, TV, intercom and Wi-FI.